Author, editor, and ACTF director Beth Deisher. At their January 4 meeting, the board of directors of the Industry Council for Tangible Assets (ICTA) approved the formation of an Anti-Counterfeiting Task Force (ACTF) committee. The aim of the ACTF is to mobilize law-enforcement resources to protect the integrity of U.S. coinage by educating officials on the economic impact and growing threat that counterfeits of circulating, collectible, and bullion coins pose to the collecting community as well as to the public at large. The board also approved the hiring of Beth Deisher as director of anti-counterfeiting. The committee and Deisher’s salary will be financed by donations to a separate, dedicated fund. The ACTF was formally established January 6 during a meeting in Fort Lauderdale. This meeting was attended and fully supported by numismatic-community leaders and association members who had attended an August 8, 2016, summit to assess the harmful effects of counterfeit coins entering U.S. markets from China, Russia, and Eastern European countries, and to discuss the need for action to address the problem. “ICTA stepped forward to launch the task force and provide management oversight, because it allows the quickest path forward to get the task force up and running,” said ICTA’s chairman, Philip N. Diehl. “Beth has assisted me every step of the way in the formation of the task force. ICTA and the dealer/collector communities are very fortunate to have her on our staff. She will be a tremendous asset,” said Kathy McFadden, ICTA executive director. 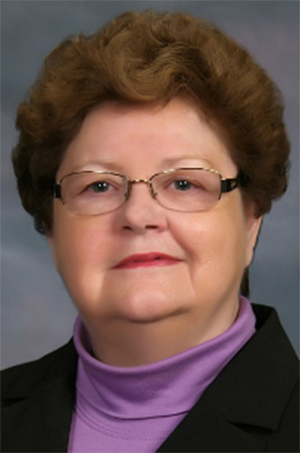 Deisher was editor of Coin World for 27 years and has remained active in numismatics through writing and presenting educational forums since her retirement from the magazine in 2012. She was inducted into the Numismatic Hall of Fame in 2013. In 2008, Coin World teamed up with the New York Times to publish the first major series on Chinese-made counterfeit coins that were entering the U.S. marketplace. In 2009, Deisher and Dr. Gregory Dubay team-taught classes on Chinese counterfeits during the American Numismatic Association’s Summer Seminar and during the World’s Fair of Money. Subsequently, she has presented several regional, educational workshops and forums on Chinese counterfeits throughout the nation.